When Nigeria hosted the Second World Black and African Festival of Arts and Culture (FESTAC) in 1977, it celebrated a global vision of black nationhood and citizenship animated by the exuberance of its recent oil boom. Andrew Apter’s The Pan-African Nation tells the full story of this cultural extravaganza, from Nigeria’s spectacular rebirth as a rapidly developing petro-state to its dramatic demise when the boom went bust. According to Apter, FESTAC expanded the horizons of blackness in Nigeria to mirror the global circuits of its economy. By showcasing masks, dances, images, and souvenirs from its many diverse ethnic groups, Nigeria forged a new national culture. In the grandeur of this oil-fed confidence, the nation subsumed all black and African cultures within its empire of cultural signs and erased its colonial legacies from collective memory. As the oil economy collapsed, however, cultural signs became unstable, contributing to rampant violence and dissimulation. The Pan-African Nation unpacks FESTAC as a historically situated mirror of production in Nigeria. More broadly, it points towards a critique of the political economy of the sign in postcolonial Africa. "Apter’s expertise on Nigeria is on full display. . . . The book is a powerful statement on the emergence of a post-colonial national identity; Apter is quite sklled in balancing political economic and cultural spheres. . . . A rewarding read and I recommend it to Africanists and others interested in nationalism, political culture, diaspora studies, and Nigeria." "For those interested in issues of culture and nationalism in Africa, this book will serve as one of the very best on the subject." "The great value of this book is that from its focus on the production of culture, it is able to suggest connections between diverse spheres at various locations and at various points in time. . . . It encourages the reader to examine familiar interpretations in a new light, drawing attention to many interesting parallels." "This is a penetrating if scathing critique of unfulfilled expectations and lost opportunities in the wake of Nigeria’s march toward a modern nation-state. . . . In his brilliant analysis of the political, economic, and social dynamics of Nigeria, Andrew Apter turns to FESTAC as an appropriate metaphor for a critical review of the prodigious problems, challenges, and ills facing Africa’s most populous country." 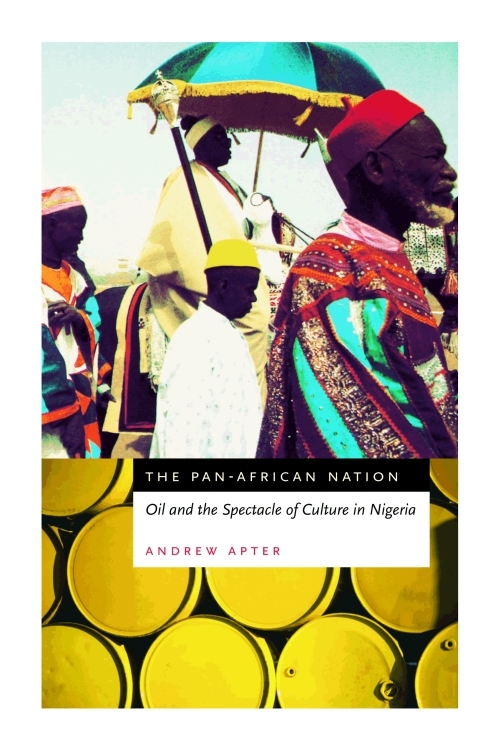 "Apter’s splendid historical ethnography examines how Nigeria’s oil-rich state utilized its petroleum revenues in an extravaganza of cultural production that attempted to transform money into national identity. . . . Apter’s brilliance, and the enduring contribution of the book, is in showing not only the complex history and ethnography that situate and explain the Nigerian state’s invention of tradition and culture, but also the ways in which the manipulation of signs and symbols . . . both obscured and reflected the contradictions inherent in Nigeria’s oil economy. . . . For anyone interested in corruption as a cultural phenomenon, or more generally in the role of signs and symbols in political and economic processes, this is gripping and convincing material." "The approach leads to rich and thoughtful explorations of Nigeria’s most crucial problem: creating a national culture. . . . Richly rewarding and highly recommended, both for those interested in Nigeria and also as an addition to the growing number of reexaminations and interpretations of the great world fairs and exhibitions of the past." "This book deserves a wide readership, and I expect that it will get it. Apter has provided us with an account of a postcolonial African political culture that is both theoretically and empirically compelling."